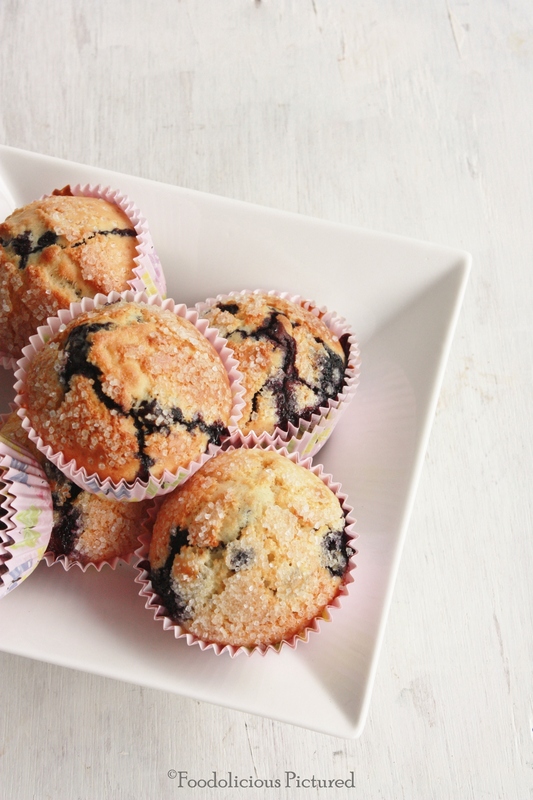 These moist and delish classic blueberry muffins are great for breakfast as much as they are for after-school snacks or anytime of the day! I lined my muffin holes with paper cases but if you would like to use the muffin tins then go ahead and grease a 6 holes muffin pan. Fill them only 3 quarters full. Pre-heat the oven to 200 C. If using the muffin tins then grease them. Into bowl, sift the flour, baking powder and add the sugar and combine well. In another mixing bowl beat the eggs, melted butter, milk till well combined. 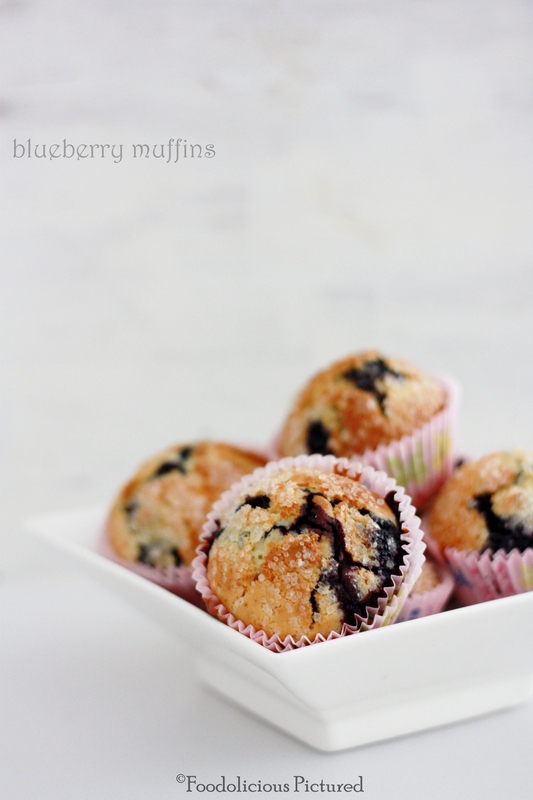 Add the egg mixture and blueberries to the flour and mix till everything is just combined. Make sure not to over mix; its should be quite lumpy. Spoon the batter into the grease muffin tins or cupcake/muffin cases. Sprinkle the coffee sugar and bake for 25-30 minutes or till the toothpick comes out clean when inserted in the middle of the muffin. 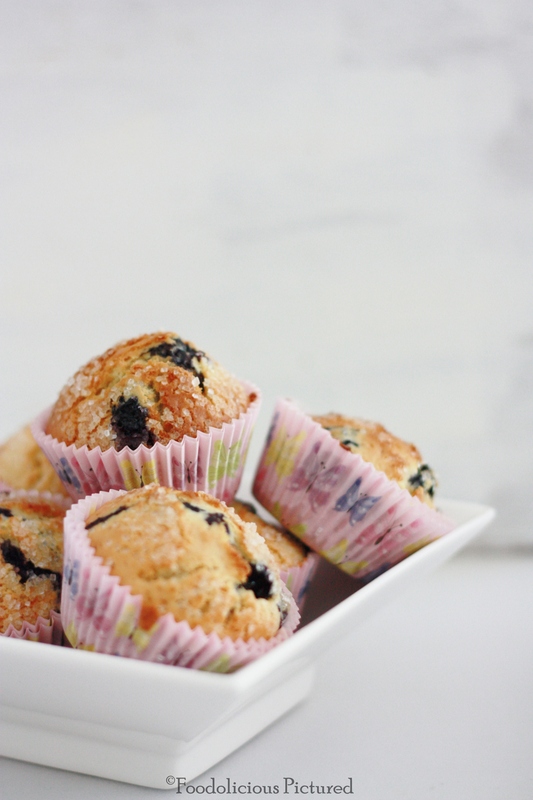 love those super tempting muffins. Feel like taking them out. What is coffee sugar?? 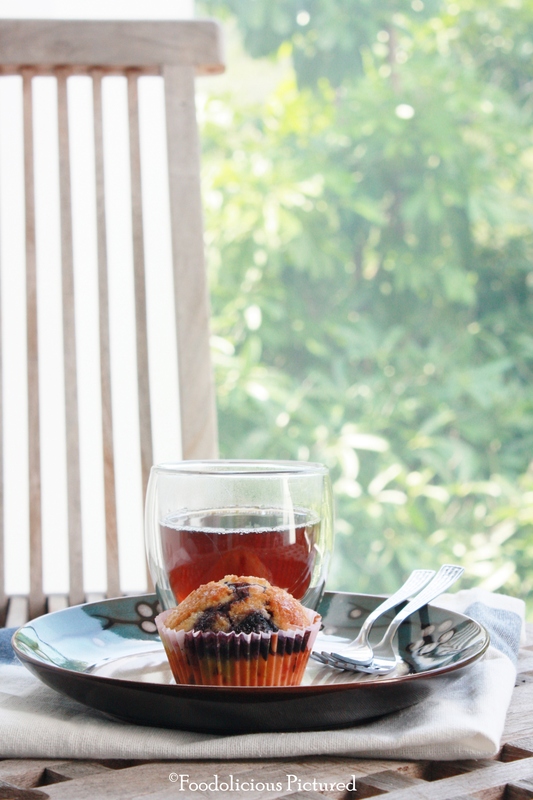 I’ve never come across it.. Muffin looks yum though..